JAMESTOWN – When Jamestown School District residents go to the voting booths on May 15, they not only will vote on an $86.23 million school budget and two Board of Education seats, but will also have two propositions to decide on. 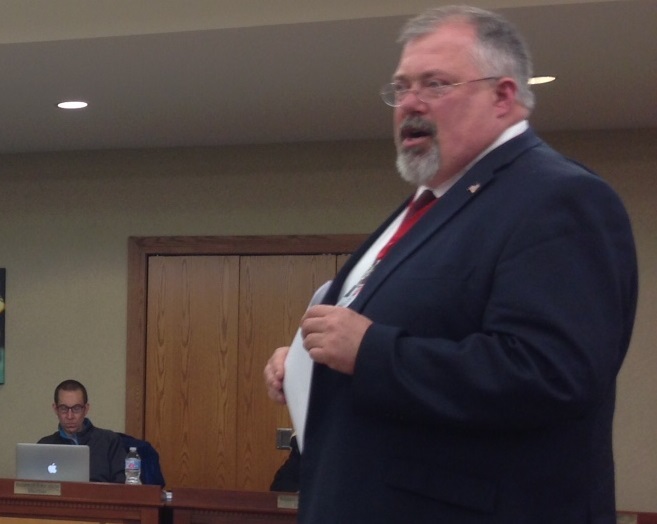 One proposition focuses on creating a $2 million Capital Reserve Fund, while the other would establish the position of a student ex officio member of the School Board. Jamestown School Superintendent Bret Apthorpe during the April 17, 2018 school board meeting. School superintendent Bret Apthorpe says the Capital Reserve Fund would help the district pay for future capital projects. Currently, New York State funds up to 98 percent of school capital projects in Jamestown, with the remaining two percent covered locally. If the $2 million capital reserve fund is approved by voters, the district could plan for up to $100 million in future capital improvements without having to build the local cost into future budgets. “Roofs have to be replaced. Parking lots have to repaired. Technology has to be introduced to schools. Those are inevitable costs for every school and by approving this reserve, we’re going to be able to protect the local tax payer. 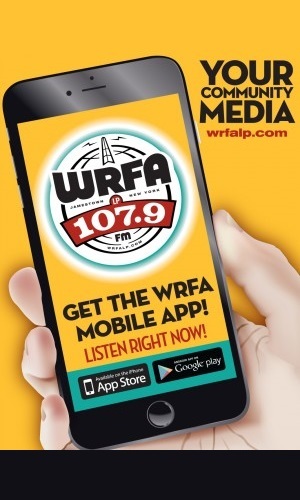 The local tax payer will not have to pay any money toward that work,” Apthorpe told WRFA following the school board’s April 17 meeting. The $2 million for the reserve fund would come out of surplus money the district is anticipating for the current school year. Once created, the money would sit unused until district voters approve its release for a future capital project. The fund would be able to sit for up to 10 years before it had to be utilized. The other proposition includes the creation of a student ex officio member of the school board. The position would have no voting power and the student would not be able to attend executive sessions, nor would he or she receive compensation of any form. He or she would, however, sit with the board during each public meeting and serve as representative for the student body. A member of the school honor society would be appointed to the position. In addition to the two proposition, voters will also act on the district’s $86 million budget, which includes no tax increase. The school board election includes two open seats – which are currently held by Board members Nina Karbacka and Dan Johnson. Both have said the plan to run for reelection. A public hearing on the budget, as well as the two propositions, is scheduled for Tuesday, May 8 at Persell Middle School. The school budget and proposition votes, along with the board election, is set for May 15 from noon to 9pm.